Business organizations worldwide have been facing serious challenges to enhance employee’s productivity. According to a survey, almost 80 percent of employees waste time on different types of activities nearly 1 out 5 workers waste approximately 3 hours a day. Modern technology in the shape of the internet is the biggest way to improve productivity but on the flip side, it is also a large distraction thanks to social media and other factors. 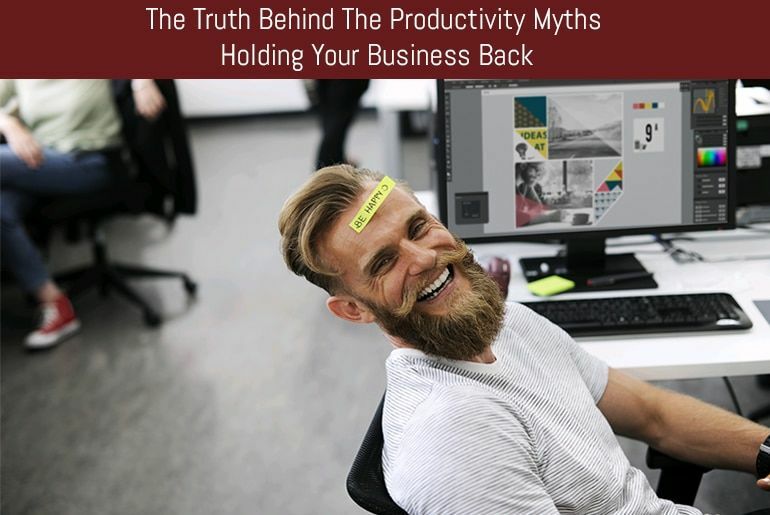 This article discusses the illusions of workforce productivity and ways to enhance the effectiveness of workers in order to increase their productivity. Americans believe that spending more hours at a workplace is the key to generating productivity. They may get more quantity, but cannot get more quality in productivity of a business. Putting more hours in a workplace does not guarantee you that you have produced quality work. According to a recent research, employees or employers that engage in long hours at work are increasing the odds of stroke. When an employee tries to put in more effort for a longer period of time, they may not be able to work with full concentration and an employee may also lose the creativity and determination to complete the task. There is a huge contradiction in the minds of employers that rewarding employee’s with bonuses boosts up them to work hard and to put more effort at the workplace. Yes, it is the good thing, but only to some extent! Initially, rewarding the employees make them think to work hard, but ultimately after some passage of time, the graph starts falling as usual. There is another misconception among employees that finishing the task before time or on time is the mark of productivity and those who can’t are worthless. On the another hand, an employee that spends a little more time than the given period could be more productive in terms of quality rather than just marking quantity. It would be best for an employee to work hard and spend more time on a task to produce quality based work. There are plenty of employers have the viewpoint that putting pressure on employees can really make difference in order to increase productivity of the business. But in reality, it could be the disaster for employers: it may lead them towards heavy losses and employees may lose their concentration because of peer pressure. Employees may suffer from depression, anxiety, stress and many other trauma and even your best employee may prefer to quit the job. In order to truly increase productivity in the workplace, try the following tips which are bound to show significant improvement with your workforce. It does not make any difference how many hours you have put in at the workplace. An employer can perform an experiment in order to study how employees spend their time in the workplace. They can use monitoring apps in order to measure the employee’s productivity at workplace. Research shows that almost 10 percent of highly productive employees don’t put their efforts in through long hours; in reality, they may not even work for 8 hours at their job. They spend a set number of minutes at work but work smartly, take regular breaks and become the best employees of a business organization. The best thing is for an employer to be a role model to their employees. Track yourself first: how many hours you spend on what tasks, and out of that time how much you are truly productive? Set an example and your workers will follow in your footsteps! Share your experience with them and let them know the reasons behind your success. The more engaging and regular discussions you have with your employees will make your employees creative, enthusiastic, determined and productive. There are a number of issues that exist in most of the business organizations such as workplace bullying and a lack of positive and respectful environment can discourage your employees to work on their assigned tasks to their full potential. It is an employer’s job to maintain discipline at a workplace to avoid all bullying, favoritism and a negative working environment. Employers need to encourage employees and should provide a healthy environment to enable them to concentrate on their assigned work. It will definitely make a difference in improving the productivity of your business. This argument is quite valid that in order to improve the productivity, you have to monitor the productivity of your employees to the fullest. Measuring the employee’s productivity is possible with great efficiency and accuracy by using the employee monitoring app. You will be able to view all the activities they perform on company’s owned device and how much they hours they spend at a workplace and how much time they waste in other activities. These figures should not be used to punish employees though but used to find areas that are in need of improvement and an action plan should be put in place which the employee is involved in setting up. This involvement in agreeing to working hour changes, using different equipment or going on training courses will help the employee feel valued more motivated to work harder. A lot of the issues the cause negative productivity are easy to solve as long as you can ensure that there is a positive environment for the workforce to operate in and lead by example, showing what is expected of them by doing it yourself as their employer.